The Mahindra XUV 300 or the S201 is based on the SsangYong Tivoli, We expect this compact SUV to launch in India sometime around the festive season this year. Recent developments suggest that it might come with features like a sunroof, 7-airbags and front parking sensors. By this year end, Mahindra is going to introduce an all-new compact urban SUV in India. 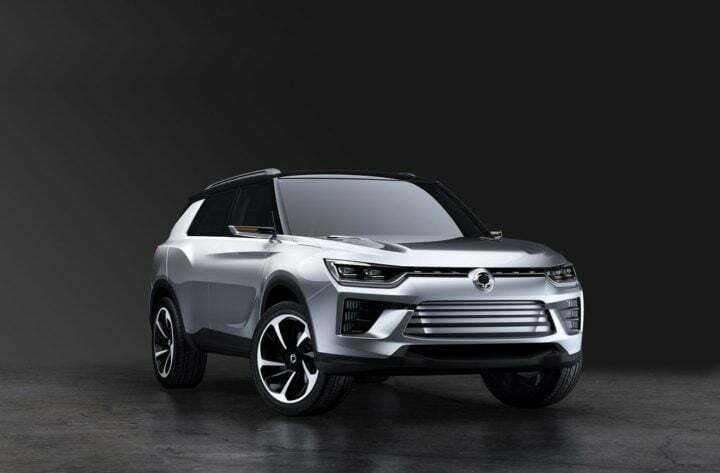 Codenamed as the S201 and likely to be called the XUV 300, this vehicle is based on the SsangYong Tivoli which is currently on sale in several international markets. That said, Mahindra has assured that the production version of this vehicle will have traditional Mahindra styling and interior design cues. Mahindra has been testing this vehicle on Indian roads for quite some time. And has already commenced public surveys ahead of its launch which we expect is likely to happen around the festive season this year. Going by the spy shots circulating on the internet, we can clearly see that the XUV 300 does resemble the Tivoli in terms of its basic silhouette. However, there are a number of changes which indicate several design tweaks by the homegrown automaker. Furthermore, according to a Team-BHP member who supposedly went to one of the surveys conducted by Mahindra for the S201, claims that it has an XUV 500 like front grille. Not only this, but the test mule which they were given to experience also came with an electric sunroof, up to 7-airbags and front parking sensors. In addition to this, the Mahindra XUV 300 will also feature 17-inch diamond cut alloy wheels, projector headlamps, LED daytime running lights, leather seats, engine push button stop-start and key-less entry. Mahindra is going to equip this car with a diesel engine as standard. The power unit is going to be a 1.5-litre oil-burner. The power and torque specs on this unit are yet to be announced by the automaker. Also, the standard gearbox option is going to be a 6-speed manual gearbox. There will be an automatic gearbox in the line-up as well. We are already well aware that the production version of the Mahindra XUV 300 is going to measure under 4-meters. And as a result of this, it will compete with the likes of Maruti Suzuki Vitara Brezza, Ford EcoSport and with the Hyundai Creta to some extent. Consequently, we are expecting the prices of this vehicle to fall in the range of INR 7.5 lakh to 10.5 lakh.